Shopping for the upcoming festive season was fun. Got to spend time with my soon-to-be husband and in-laws. I don't celebrate CNY to be honest but since it the other half's Christmas, I don't mind appending in the mood. Anyways, the creepers. I fell madly in love with killer Helgas and Creepers last year. The one sold online is do darn expensive (minus the postage fee)! I'm not going to spend a little extra for things I can have half the price in local stores. After a decade or two, I finally found them selling on the racks of boutiques and shoe shops here in the state. I got super ecstatic over the found. With millions lol in my wallet I grab one, all black with silver lining on it, had this super wide smile on my face and show it to fiancee. He burst out in laughter, turned his head back, slapping his forehead and gave a are-you-for-real look. God! I just want to throw my self on the walls and die. He actually thought I was joking! So I put it back on the shelves and carry on with the red themed shopping. Sigh. Apparently, fashion doesn't revolves around everyone especially when it comes to this kind of trends where people thought it looked like a clown shoes or chopping board or weird what-so-ever. Well good, I don't care. Saves me the fright of sold out stuffs! I love them shoes. It make me look taller without the heels and yea, I can kick someone's johnson hard if they try to make fun of me. lol. I know it looks ugly and heavy but actually its not. Its pretty light weight and I can guarantee you will feel pain if I decided to give a kick on your johnson. I'd probably go back and get it after CNY. I hope it doesn't sold out or anything. Its perfect for my weekends work at the office since I'm going to be alone there all the time. 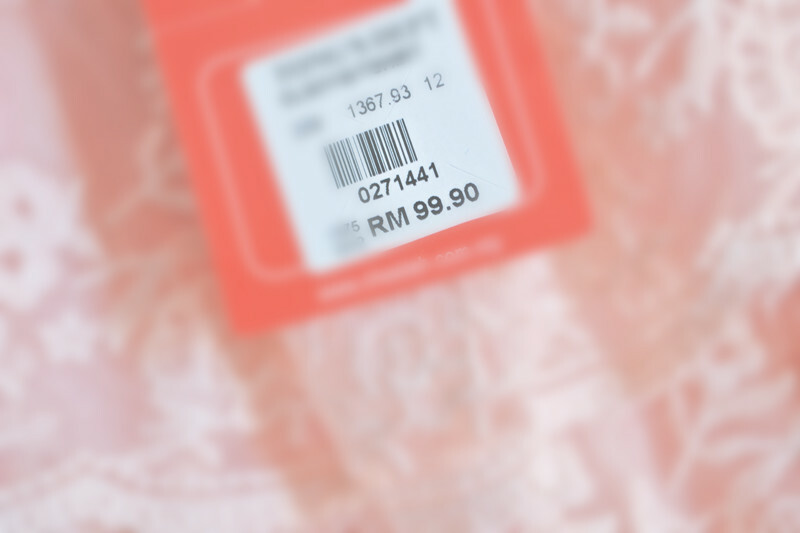 I hope you're done with CNY shopping. I must say, an Rm99.90 worth of fugly present doesn't worth the 10,000 steps of shopping. But thank you. I dislike that sound of me being an ungrateful little skunk but I shall be one, rather than faking myself with smiles like a dumb blond. I know, you know, it fugly. Don't get me wrong, I just hate the fact of wasting money on something I wouldn't even wear. Now I have to think of another way of making that possible. Its nice that they knew I lean towards laces and pastels. I love all the little details on the lace but not the whole stacked ruffles, shape and design. I feel like a pink Christmas tree in January. I got myself super comfortable shorts and sport shoes for the daily jog at the local park and of course cheongsam which I bought online few weeks back. Will post pictures after CNY. I'm pretty sure those shoe very comfortable to wear.. Is been a while since my last time wearing it.. I mostly on sneakers right now..
@Stella Cheongsams are pretty similar. Just the patterns a bit different. For me as long its red, no open slit at the sides and red, will be fine.